From Great Food And Vibrant Fairs to Picturesque Locales And Buzzing Markets, Rajkot Has Something For Everyone. 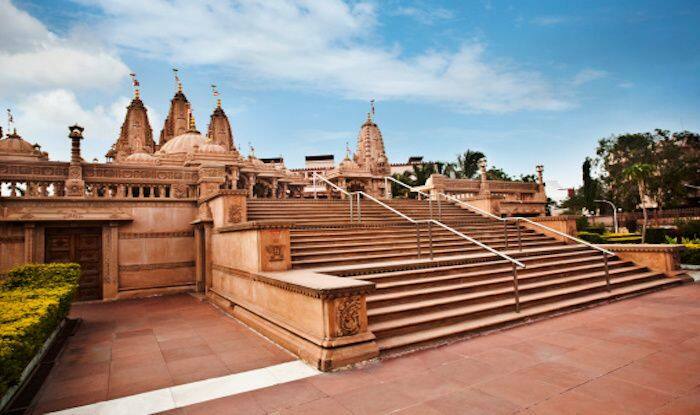 Rajkot is a sprawling city in Gujarat, bustling with life. Though it’s not typically where tourists flock to, but if you happen to be a slow traveller, then there’s quite a lot to experience here. From great food and vibrant fairs to picturesque locales and buzzing markets, Rajkot has something for everyone. When in Rajkot, the first things to do is relish a delicious Gujarati meal. Go for a thali which has a range of items including lentils, vegetable curries, roti, rice, chutney and freshly chopped veggies. There’s a distinct sweetness in the food here; and if you prefer more spice, opt for the Kathiyawadi thali. Don’t forget to try the famous khichdi, dhokla and buttermilk too. It tends to get really hot in Gujarat, no matter when you’re travelling, so remember to head to Shree Shakti Vijay Patel Soda Factory – Rajkot’s beloved ice-cream parlour that has been around since 1933. It’s an old brand with plenty of tasty flavours of ice-creams on offer. Those in search of adventure activities in Gujarat will find it at Fun World, a popular amusement park with attractions for people of all ages. From crazy rides, a horror house, hall of mirrors, carousels to a lovely food court, these are just some of the things on offer. Another adventure park to explore is the Krishna Water Park – a complex that features not just rides and slides but accommodation for travellers also. Nature lovers can head to Aji Dam for its well-manicured gardens, seating areas surrounded by lush greenery and a children’s playground. While the picturesque park will certainly leave a lasting impression on your mind, you can make your visit even more memorable by packing a picnic and enjoying with your loved ones. Another ideal place for a picnic is Lal Pari Lake, located a few kilometres from the city. What sets it apart is that it’s a great place to spot migratory birds. You will get to spot plenty of species here like the wigeons, rosy pastors and purple moorhens. Hiking is another great way to explore Rajkot’s natural abundance; the best place to head to is the Osam Hill in the village of Patanvav. It’s believed that the Pandavas stayed here during their exile; the fort of the Pandavas is now in ruins and you can explore it when you get to the top. To experience the sky turn into a kaleidoscope of beautiful colours, stay till the sunset. To satiate your shopping pangs, head to Bangdi Bazaar, among the oldest markets in the towns, to shop for jewellery and stunning pieces of clothes. Gujari Bazaar is a sprawling flea market that sells numerous odds and ends, and is a great place to pick up souvenirs to take back home.